An Oklahoma farm boy who rose to the top of New York's design profession. NEW 2018 EDITION IS REVISED with major updates: Announcements of recent Awards and Honors including the AIGA Medal, and 2018 AIGA SF Fellow award; the astounding success of the NASA Design Manual Reissue (now in its fourth printing); speaking engagements around the country; and more. 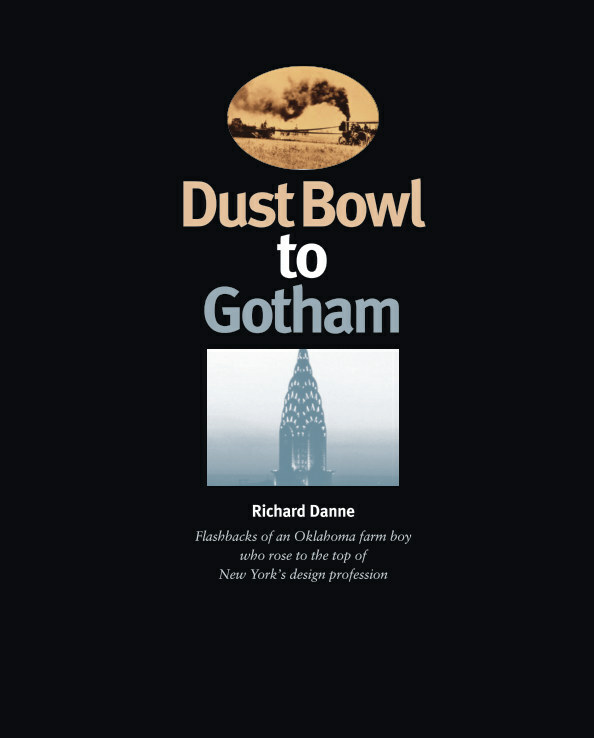 Over 350 illustrations in 22 fast-paced episodes that track his earliest years on an Oklahoma farm during The Great Depression – to accomplishments as a design professional in New York City and beyond. Richard was elected President of the AIGA, and later was Founding President of AIGA/NY. Elected to Alliance Graphique Internationale in 1974, he was President of AGI/US for many years. Honored with many national and international awards, including three “US Presidential Awards for Design Excellence.” Design consultant to stellar clients such as: AT&T, Seagram, NASA, FIT, and Harvard Business School. DanneDesign is a communications firm engaged in multiple areas of design including print, brand identity, and web. Our work is driven by concepts which are unique to each client situation. As a result – our clients have achieved greater success; we have enjoyed long-term relationships; and our design has been honored in prestigious exhibitions and publications.